Electronic Brick - Line Finder (Dual Sensor) mostly be used in robots. Its function is to make sure the robot follow a preset black line on the ground. The following steps show how to use EB - Line Finder with Arduino. 4. 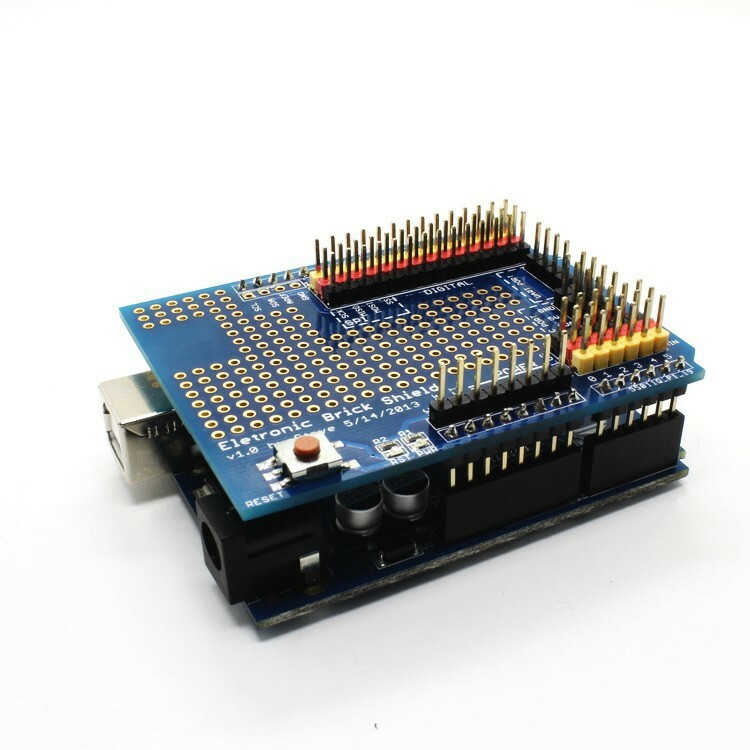 Download the Makerduino demo code EB - Line Finder.zip. Unzip the code directly into the libraries folder. 5. Open Makerduino IDE, choose the right Board and Serial Port. Open the sketch EB_LineFinder.ino and upload it to the Makerduino. 6. Check the Results. After the sketch is successfully uploaded, test this module by putting a black line under an IR emitting LED or an IR sensitive phototransistor. Then you will find that the indicator LED turns ON. Otherwise, you move out the black line or just place the module in the air, the indicator LED turns OFF. Find EB - Line Finder Material.zip to download schematic and other material.